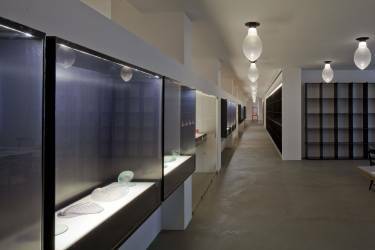 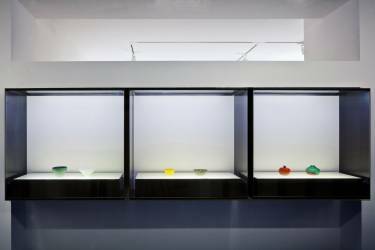 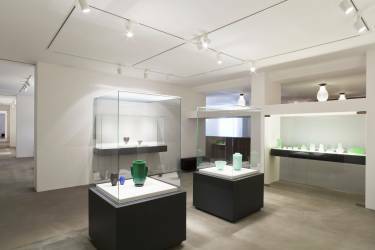 Le Stanze del Vetro is a museum dedicated to 20th and 21st century glassmaking which was founded by Pentagram Stiftung and supported by Fondazione Giorgio Cini. 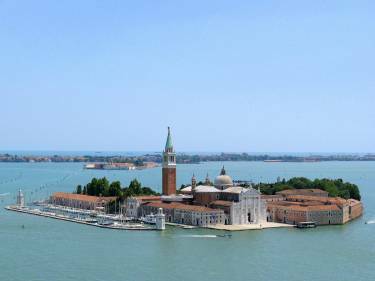 Located on the island of San Giorgio Maggiore in Venice, the museum is part of a campus of historic buildings which have been restored and repurposed for cultural and educational uses. 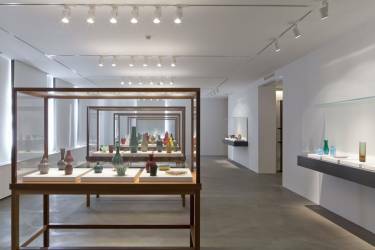 The 7,800 sf museum hosts exhibitions and events which highlight artists who use glass as an original means of expression. Housed on the ground floor of a former boarding school, the museum retains the school’s rationalist vocabulary and interior configuration. 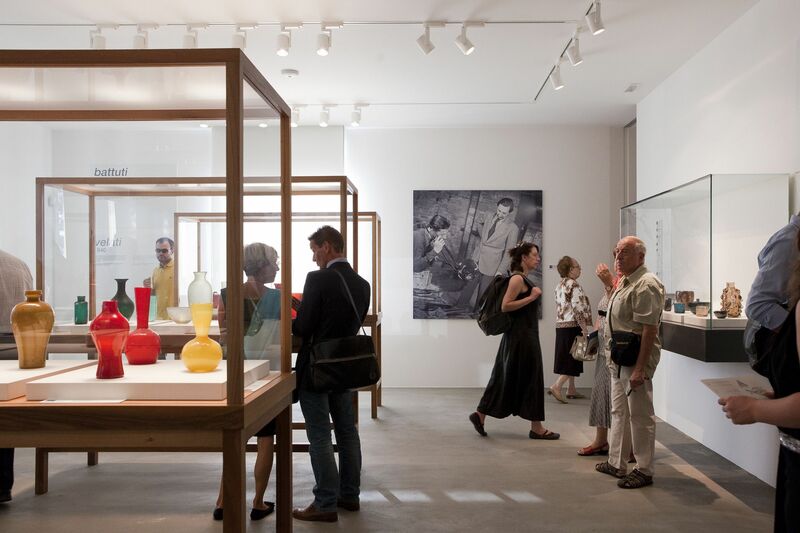 The design transforms existing classrooms into seven intimately-scaled galleries for temporary exhibitions and connects them with a new enfilade passageway. 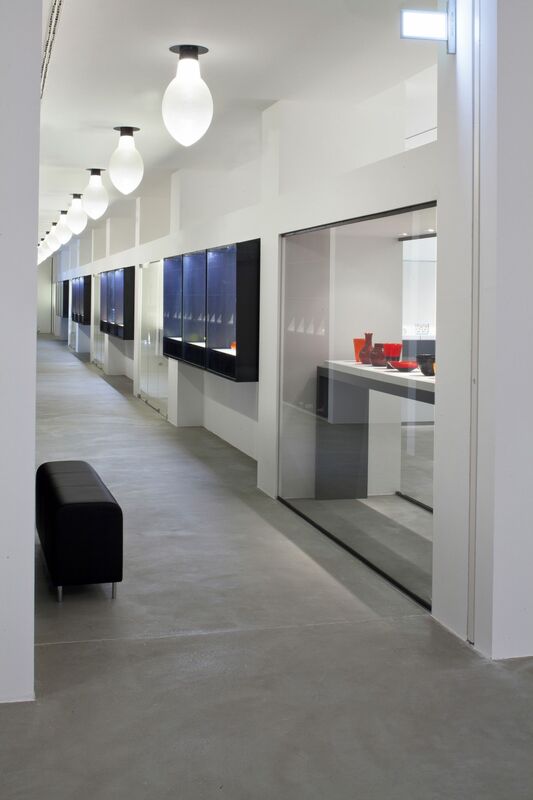 Windows along the perimeter bring controlled natural light into the galleries. 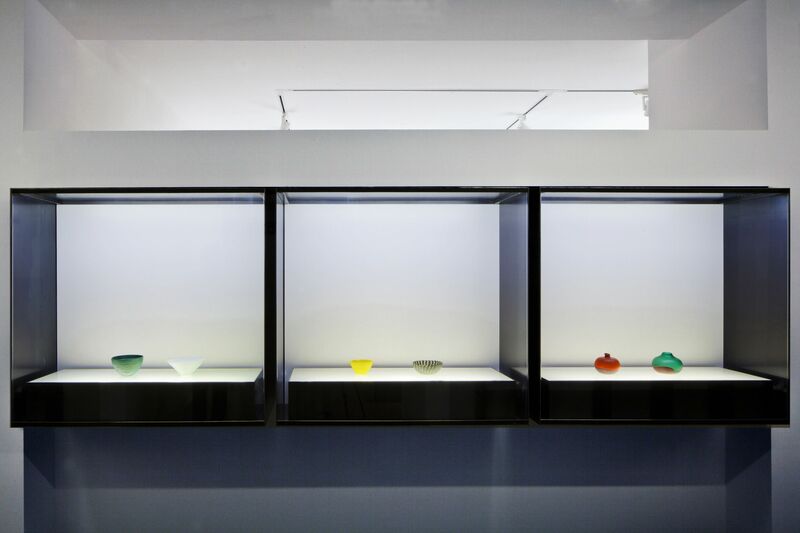 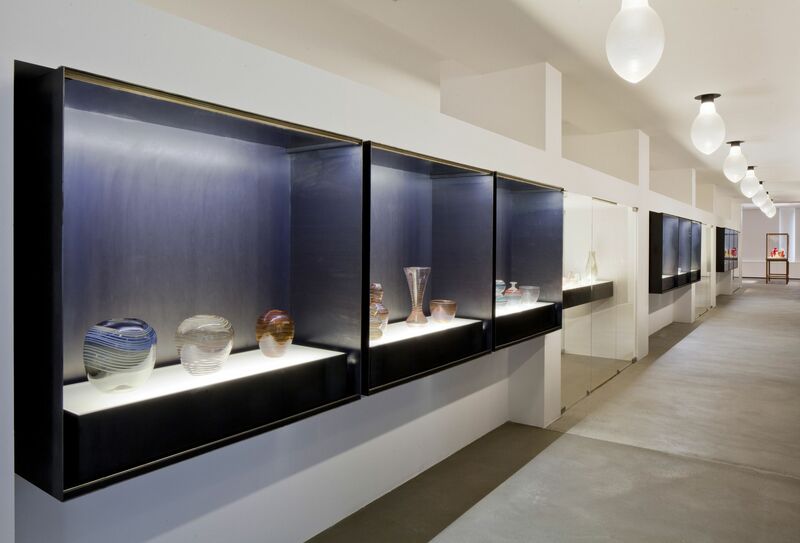 Along the original corridor, steel shelving serves as open storage for the museum’s permanent collection of Venini glass, while vitrines mounted inside the original classroom doorways create a visually-permeable separation between the corridor and individual galleries. Other functional requirements are incorporated into the design including a new accessible entrance, reception, book shop, media room, restrooms, and storage. 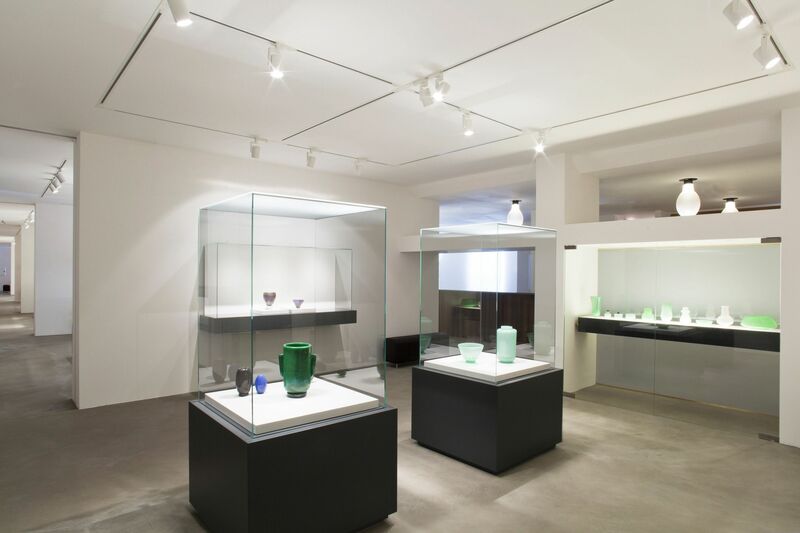 In keeping with Venice’s tradition of craftsmanship, the firm worked closely with local artisans on the design of the museum’s custom Italian walnut and steel vitrines, steel shelving, and hand blown glass lighting.